Netanyahu says Brazilian president-elect's plan to move his country's embassy from Tel Aviv to Jerusalem is "historic". 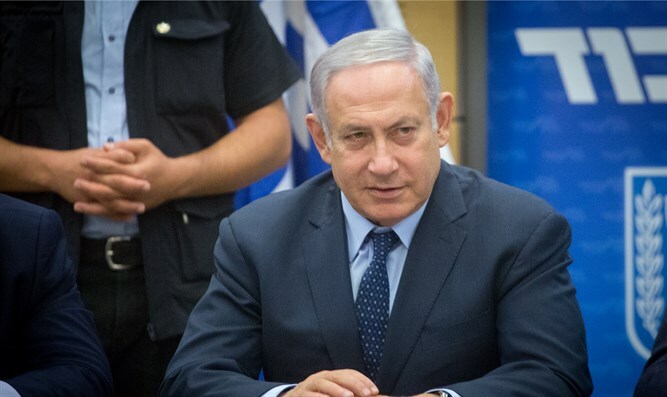 Prime Minister Binyamin Netanyahu on Thursday hailed Brazilian president-elect Jair Bolsonaro's plan to move his country's embassy from Tel Aviv to Jerusalem. "I congratulate my friend Brazilian President-Elect, Jair Bolsonaro, for his intention to move the Brazilian Embassy to Jerusalem, a historic, correct and exciting step!" Netanyahu said in a statement. Bolsonaro had earlier announced via Twitter that he intended to uphold his campaign promise. “As previously stated during our campaign, we intend to transfer the Brazilian Embassy from Tel-Aviv to Jerusalem. Israel is a sovereign state and we shall duly respect that,” he wrote. Bolsonaro, who has been dubbed “the Trump of Brazil”, was elected in a runoff on Sunday, defeating Workers’ Party candidate Fernando Haddad by a ten-point margin, 55% to 45%. Like Trump, he had vowed during the election campaign to relocate his nation’s embassy in Israel from Tel Aviv to Jerusalem. Bolsonaro also called for the closure of the Palestinian Authority embassy in the Brazilian capital, Brasilia. The Brazilian move would be following in the footsteps of the US and Guatemala. Another country which relocated its embassy to Jerusalem was Paraguay, though its President Mario Abdo Benitez recently reversed his predecessor’s decision and announced the embassy would move from Jerusalem back to Tel Aviv.